Created by fine European designers. Manufactured by the master watchmakers of Switzerland. Worn by men and women with a passion for design and quality. The Tellus collection allies greatest watchmakers’ knowledge with pure refinement and innovative design. The value of Tellus lies in its heritage. Since its creation in 1926 by Wilhelm Ulrich, Tellus aims towards excellence. Tellus was certified as a Chronometer and had its own label of quality, the UOT - "Uhr ohne Tadel" which, in German, refers to “flawless watch”. 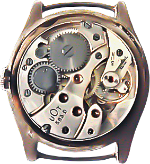 Historically, Tellus made premier pocket and technical watches, manufacturing its own movements, in particular, the calibers 540B, 546, 583D. In the 1940’s, the brands Tellus and Hebdomas merged to form a group in La Chaux De Fonds (Switzerland), under the management of Albert Juillard. 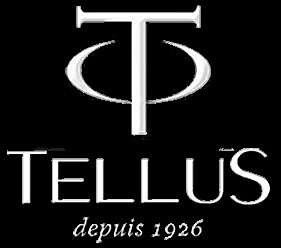 The distribution of Tellus flourished to become a leading brand in the 1960’s in Central America, the Caribbean and in European countries such as Romania, Hungary and Russia. Recently, Tellus made a “comeback”, launching a completely new collection of highly creative timepieces designed by Hovel Chenorhokian, of Armenian descent, from a family famous in its watch trade. When people ask me where I come from, I stumble. I need a few seconds before I reply. People think, “What’s wrong with this guy? Doesn’t he know where he comes from?” Well, it’s not so simple, and I am often perplexed about how to give a concise and correct answer, without having to tell a long story. I “am” French and have been living in Paris for 30 years. My roots though are in Lebanon, where I was born, raised, and lived for twenty years. My father was born in a city, which is now in Turkey actually. However, Armenian is my mother tongue, the language I speak with my family, as both my parents are of Armenian origin. The watch business has been a “tradition” linked to my family since the 1930s. My father’s family had just escaped the Armenian genocide perpetrated during the First World War, and had settled down in Lebanon. For the first generation of Armenian refugees, in Lebanon and elsewhere, with no property, no financial assets, and very rarely speaking the language of their host country, tailoring, shoemaking and jewelry making were the typical trades parents intended for their sons in early teens. Boys generally worked as apprentices for a couple of years before they worked for a salary. It was Harout, the oldest of my uncles, who decided, in his late teens to undertake watch-making, a trade that grew in prominence from the 1930’s to the 1950’s. He then trained my father and three of my other uncles in the trade. Watches were reserved to the social elite until the inception of the twentieth century. 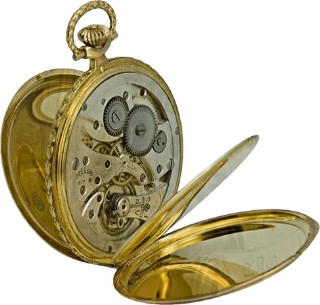 With the industrial revolution, watches became accessible to common citizens, creating a serious demand for watchmakers. 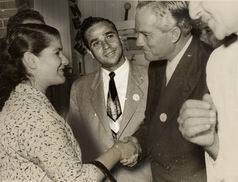 I recall my father telling us about his first business. He had sub-rented a three square meters corner in a tailor’s shop, where he had set his watch repairing bench. As people used to line up on the sidewalk for getting their watches fixed, my father, still a young boy, was subject to the jealousy of the older tailor. In family stories, the road from the one-man workshop to success is sometimes a few generations long. My father, though, having started a business in very modest conditions, had, by the end of his career, a well-established company distributing the highest ranking Swiss brand names such as IWC, Blancpain and Breitling, in the Middle East. 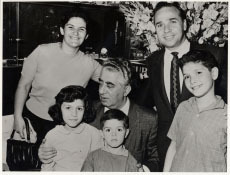 The Lebanese civil war, which started in 1975, caused another chaos in our family. It destroyed my father’s business, and it blew my brother and me out to France, where we had the “chance” to re-establish a new business on a bigger scale. Taking place in the late 1970’s, this re-institution coincided with the transition of the watch industry from Europe to the Far East, the development of quartz watches, and the evolution of watches from a product bought once in a lifetime, to a consumer product and a fashion accessory, giving an extra-ordinary momentum to the watch industry. It was in these favorable conditions, that my brother and I, continued the family tradition and started a small “watch” business in France. The business quickly developed into a multinational business. When fashion became the major criteria in the selection of a watch, I was astonished at how ladies bought a watch based solely on the material, pattern, or color of its band. I mused about how I could make a fashionable watch that would offer hundreds of bands, in all the colors, patterns and materials a woman might desire. 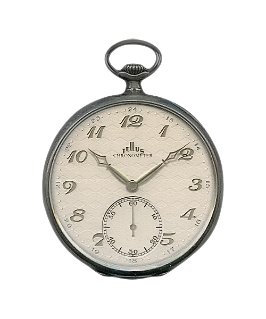 There were many watches with interchangeable bands, but most were either too complicated to use, or were not attractive. I imagined and sketched the design of a watch which would operate smoothly and look elegant on a lady’s wrist. That is how the moog watch brand was born. I found the process so unbelievably rewarding and spiritually fulfilling, that to date, I continue to design watches. I have to confess that “Dreaming” has been a part of me since my young age. At the age of five, my mother took me to an ENT specialist to have my hearing checked. She had noticed that, from time to time, I did not respond when people addressed me. The doctor assured my mother that my hearing was intact, and explained that if I did not respond to people talking to me, it was most probably because I had a very rich “interior life”. Throughout my life, in school, at work, and in daily interactions, I carried this handicap. Often, when I’m absorbed in “thoughts”, I do not hear people talking to me. I happen to pass by people, and not see them, often offending friends. Minute imperfections, disturb me and plunge me into deep thoughts, causing me to contemplate about a possible solution. I always have an urge to perfect things, making them functional, user friendly and above all, neat. Since my youth, I have been designing all types of products including garments, bags, tools, furniture and many more. For years, the products I designed were tailor made for my personal or home use. Then, upon requests, I began making replicas for friends, and finally decided to mass-produce and market all my designed products, under the brand name “doon”. Doon, meaning home in Armenian, is an eclectic line of products, which are collectively unique, innovative, essential for comfort. Multitudes of ideas continue to bubble in my brain. Mornings are particularly fertile. On nice summer days, during my ride on the Canal de l’Ourcq bicycle track between my home and my office I have so many ideas. When I reach my office, I rush to write them down, to avoid the ideas from bubbling away. Oh, I forgot to say my mother's other concern.